These flavorful, easy, healthy zucchini roll ups were a news feature here on Go Dairy Free several years back. Today seemed like the perfect time to share this wonderful raw appetizer again, this time giving it a permanent home in our recipe section. 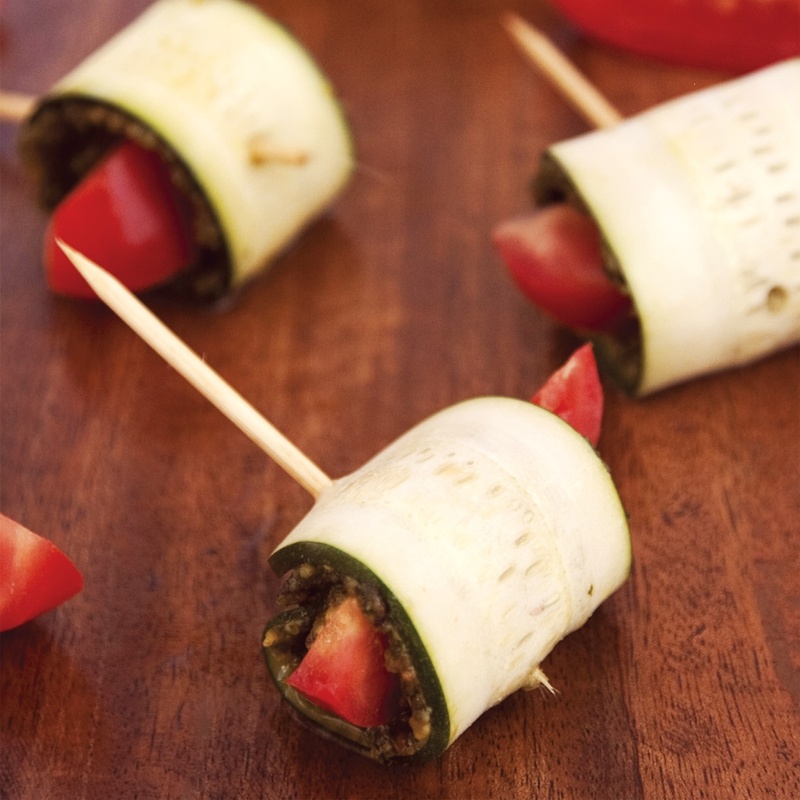 These zucchini roll-ups are a special sampling that was shared with us from the cookbook, The Raw Truth: Recipes and Resources for the Living Foods Lifestyle by Jeremy Safron. The recipe is a nice representation of the ease and simplicity you will find within Safron’s highly nutritious collection. You can also read my review of his book, and enjoy a second taste from it with this Mixed Melon Ball Salad. 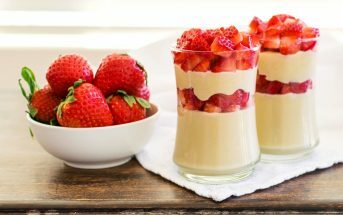 Summer is certainly the perfect time to enjoy raw food recipes. They require absolutely no heat (well, some of the recipes do require a food dehydrator! ), and take advantage of fresh, seasonal produce. 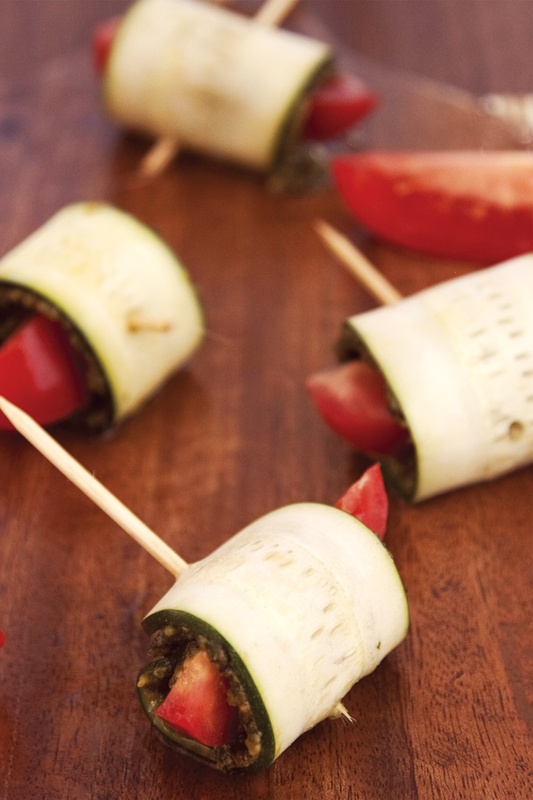 And these zucchini roll ups are so quick to throw together. But note that you do need to soak the zucchini ahead of time to soften it. If you aren’t a strict raw foodist, and didn’t plan in advance, you can steam the strips for just a couple of minutes to make them more pliable. These pesto zucchini roll ups are great for a snack, lunch, or even entertaining! 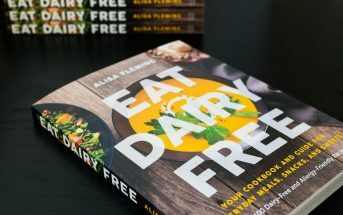 By ingredients, this recipe is dairy-free / non-dairy, egg-free, gluten-free, grain-free, peanut-free, vegan / plant-based, and vegetarian. For soy-free zucchini roll ups, swap in a soy-free miso. Brands such as Organicville and South River (not gluten-free) have good options, even though they are not red miso specifically. Please note that the Prep time does not include the soaking time (2 hours) for the zucchini. Using a vegetable peeler or mandolin, cut thin, wide strips lengthwise down the zucchini. Place the zucchini strips in a bowl, cover with water, add the sea salt and lemon juice, and soak for 2 hours, or until they taste clean (not starchy). Drain, rinse, and drain again. To prepare the pesto, place the walnuts, basil leaves, and garlic in a homogenizer juicer or food processor and homogenize, creating an oily paste. Transfer the paste to a bowl and stir in the miso. To prepare each wrap, lay a zucchini strip flat on your work surface. Drop a teaspoon of pesto in the center of the zucchini strip. Press a small piece of tomato into the pesto. Fold or roll up the zucchini strip. Secure the wrap by piercing it with a toothpick or place it, seam side down, on a serving plate. Serve garnished with the chopped basil. 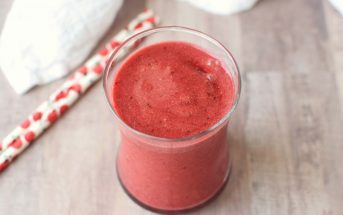 This recipe is reprinted with permission from The Raw Truth, Second Edition: Recipes and Resources for the Living Foods Lifestyle. Copyright © 2011 by Jeremy A. Safron, Celestial Arts, an imprint of Ten Speed Press, a division of the Crown Publishing Group, Berkeley, CA. Photo Credit: Eniko Perhacs. They’re healthy, elegant, and tasty looking. I can’t imagine a better summer appetizer. Cut so thin, raw zucchini is lovely and such a great way to wrap the pesto and tomatoes. I love raw zucchini rolls! And yours are the perfect taste of summer! Glad to hear they’re Heather-approved – you are such a raw food expert in my book!